It's been a long weeks wait for the poll to close but the results are in and we now have our winners. Up first is first place with 26 votes - Captain America vs Hydra, by tankm. Those two earned you the 75094 Tydirium Shuttle and a Force Awakens polybag C3PO. Congrats! Both of them will also receive polybag 3POs. Solid builds all around, an a nice spread among the winners with old themes and new without being entirely dominated by licensed properties. All in all this contest was really fun and as always we want to thank the builders who contributed and forum members for sorting them out. Congrats to the winners, thanks FBTB for a(nother) fun competition (are we gonna get themed walkers, themed starfighters etc etc? , and well done to everyone, it was a great spread of entries. Thanks FBTB for organizing the contest. 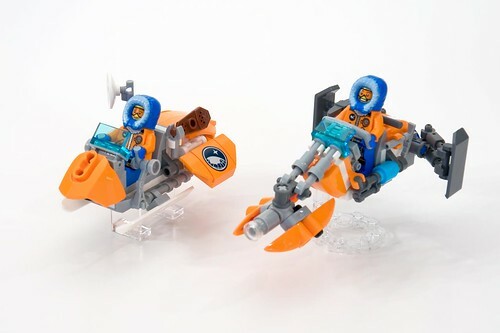 It's been fun creating the speeders and participating in this contest. Great to see so many cool speeders by all the participants. Congrats to all winners. Man. 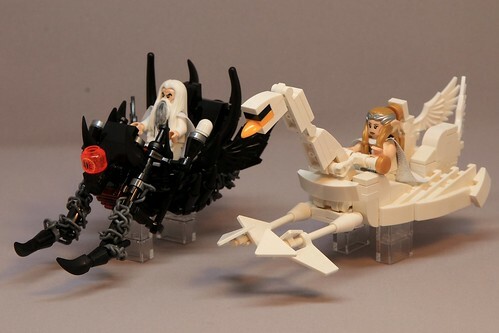 How did the LOTR speeders not make it into the top two? That's just sketchy. It was two votes away from being in a three way tie for second, so, how exactly is that sketchy? Congrats to the winners. Thanks to FBTB for putting these contest on. I had a blast with this contest. I look forward to the next contest!